Representation by a toric solenoid with coefficient n = 3/2: . 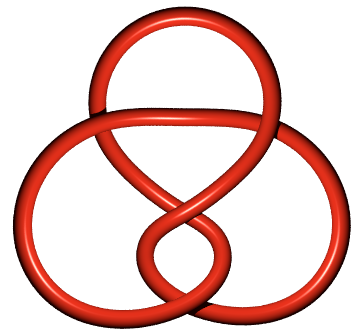 See also here an open trefoil knot. 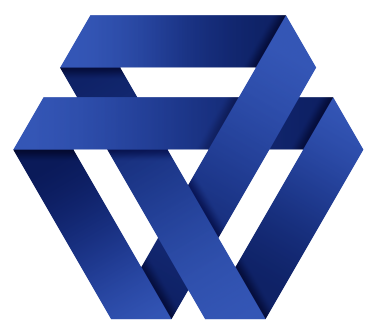 The trefoil knot is the only knot for which the crossing number is minimal, namely 3; there are in fact two of them, they are enantiomorphic (images of one another by reflection). It is an overhand knot: the ends of which were connected. 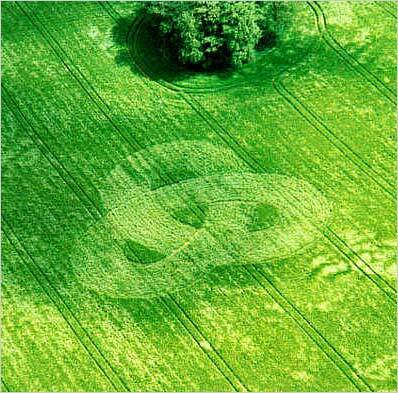 contrary to what it looks like, we get a trefoil knot and not the figure-eight knot. 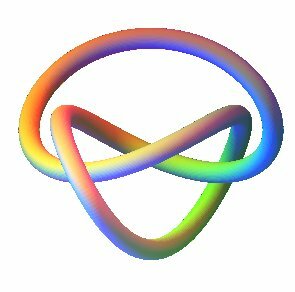 The trefoil knot is the edge of a Möbius strip with 3 half-twists. 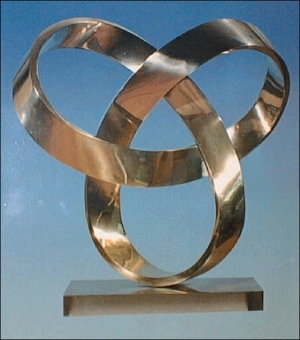 Trefoil knot from a folded strip. 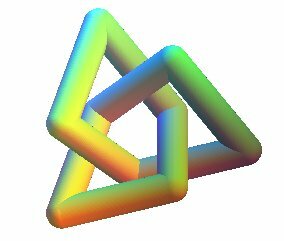 The strip has 6 half-turns, and therefore it is not a Möbius strip (it has two faces, and two edges). 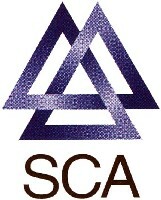 (Logo of Point gamma, student party of Polytechnique). 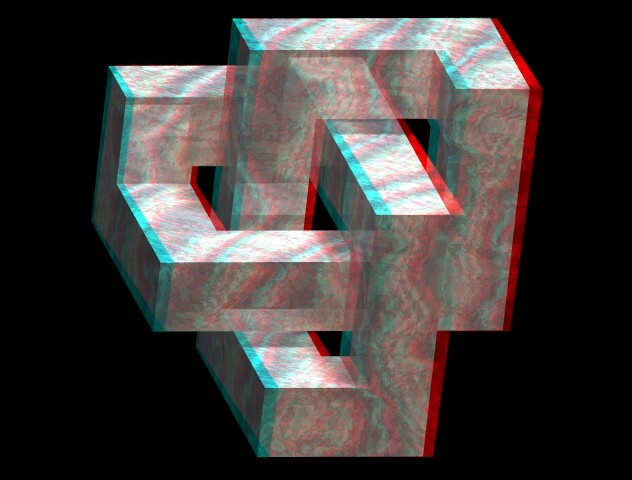 Opposite, several views of a trefoil knot composed of polygonal lines with right angles. 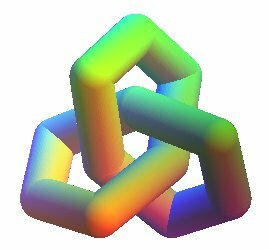 It can be proved that this figure represents the smallest trefoil knot passing by the vertices of a cubic lattice. Two other polygonal versions with 9 and 12 segment lines. 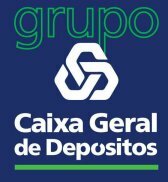 This knot with 4 visible crossings is a trefoil knot (turn the top loop to make the central crossing disappear). Inverse the two top (or bottom) crossings and you get a figure-eight knot. 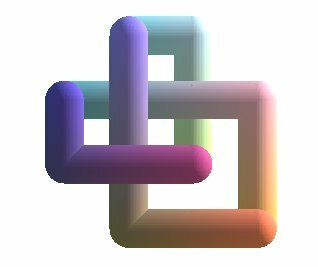 The string of this package form a trefoil knot (but, if a crossing is inverted, the knot becomes trivial). 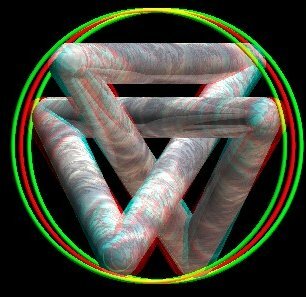 We could call "4-leaf trefoil knot" the curve for which the projection on xOy is a hypotrochoid with 4 leaves, parametrized by: . 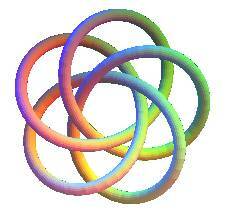 The knot obtained is equivalent to the toric knot of type (4,3), and to the 19th prime knot with 8 crossings. 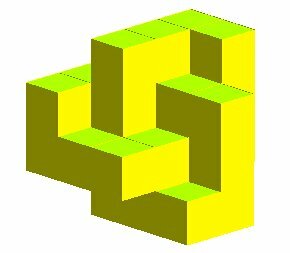 The knot with the same view from above, but with alternate above/below crossings is equivalent to the 18th prime knot with 8 crossings. 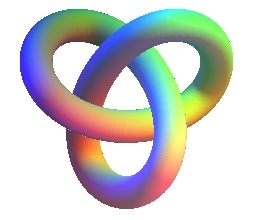 This can be generalized to the "n-leaf trefoil knot": which is in fact equivalent to the toric knot of type (n, n – 1). The alternate case would give a Turk's head of type (n, n – 1). See also the two graphs associated to the trefoil knot, the Seifert surface associated to the trefoil knot, the square and granny knot, sums of two trefoil knots. This time, it is a Möbius strip. Sum of 4 trefoil knots, Celtic on the left, Mongolian on the right. 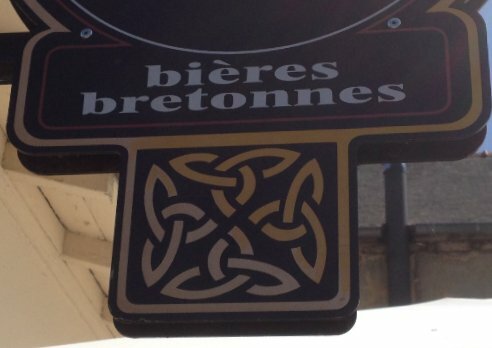 Celtic trefoil knot interlaced with a trivial knot. N° 32 of the links with 9 crossings. 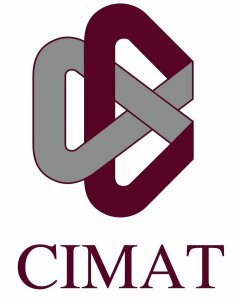 Logo of the Cimat, center for research in mathematics of Guanajuato, Mexico. 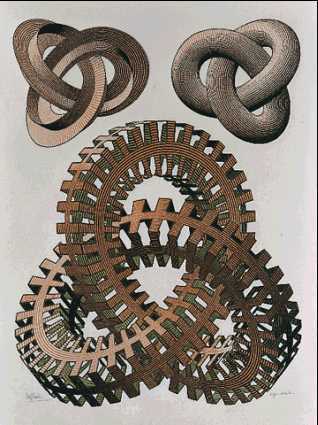 The strip has two half-twists, and therefore is not a Möbius strip.